You’ve heard it before. Failing to plan is planning to fail. But not all education marketing plans are equal. The quality of your plan will determine the quality of your success. And you watch with bated breath to see what happens. Eventually, after years of few to no results, board members and executive staff stop playing altogether. At best, they come to think marketing’s just a financial sinkhole or, at worst, a scam—resulting in ever-diminishing enrollment pipelines. But marketing is not a game of luck. 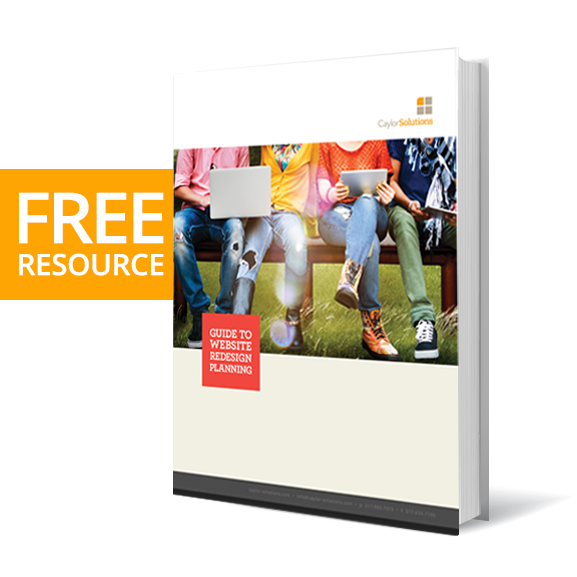 There are proven methods, strategies, and principles that can create measurable progress towards your school’s organizational goals. But to do this, you need an education marketing plan. And your plan has to include all the pieces of successful, proven marketing. Here are the ten components of a successful education marketing plan you must have. To get to where you’re going, you have to know where you are. This section is where you will describe the current status—the good, the bad, and the ugly—of your school’s marketing activities and brand perceptions. Out of your entire educating marketing plan, the audit section might take you the longest to create. You’ll need to gather data from your revenue centers, like enrollment and development, and your core programs. This might require a series of interviews with various department heads, managers, and faculty. What marketing content is currently being created and by whom? How well do current marketing materials visually (colors, typography, images, etc.) represent your school’s brand? How could the visual elements of your school’s brand be better? 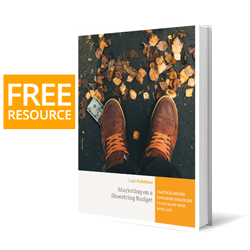 How well do current marketing materials communicate your brand? Are there key parts of your brand that are not being conveyed? Are your marketing materials answering your audience’s questions? Do your marketing materials contain emotional elements, or is it presented in dry, academic style? What is working and what is not based on your school’s Key Performance Indicators? Your academic institution isn’t for everyone in the marketplace. 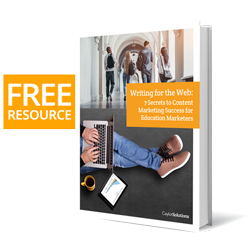 Your education marketing plan must identify who needs to receive your brand’s messaging. Your school isn’t for everyone, but you must clarify the ones whom your school can best serve. In this section, you want to spend time sketching out the various audiences for whom you will be creating your marketing content. Write out their physical characteristics like their age and gender. Think through their dreams, fears, concerns, and frustrations. Give them names and even pull generic photos to create target-audience avatars for each target audience. The marketing personas you create for this section will be sources of inspiration for your marketing campaigns in the future—so don’t cheat yourself here. Who is best served by what my school has to offer? How do they see their world and the role education plays in it? What are their goals or dreams, and how’s my school best positioned to help them reach them? What are the questions each of my target audiences is likely to ask of us as a school? What fears or concerns do my target audiences have about my area of education that I can allay? Who are the influencers and decision makers? There’s no other college, university, or academy on the planet like yours. Your uniqueness is your greatest advantage, so you must identify the various ways that you stand out from your peers. Truthfully, the hardest part of this section is simply deciding on a set of distinctions that your education messaging will emphasize. There are so many ways that you could set yourself apart from the rest of the pack, but your content must be laser-focused on a limited set of distinctions. This is the best way to create a space in the market only your brand can truly fill. That’s why you’ll need to have defined your target audiences before this section. Knowing your target audience’s preferences and needs will help you choose which distinctions are the ones you should be communicating through your marketing. Your school’s brand statement is where you synthesize all of your brand distinctives with your corporate values and beliefs. From these, you create the promise you make to your target audiences. At [INSERT YOUR SCHOOL’S NAME HERE], we believe education should [INSERT YOUR BELIEFS HERE]. We help students [INSERT HOW YOU HELP STUDENTS ACCORDING TO YOUR BRAND DISTINCTIONS] by [MAKE YOUR PROMISE TO THEM HERE]. The statement can also be several paragraphs, but not longer than a page. For good measure, you can also write out nuanced brand statements for your various audiences. But in my experience, the only necessary brand statement is the one you make to your primary audience—which, if you’re an education marketer, should be prospective students. Your Unique Selling Proposition is where you take your brand statement and distill it even further. It is your brand in its most concentrated form. It is your school in its most authentic form. For what kind of student are you solving the problem? What will the student be like or be able to do when they graduate? What will the world/community/industry be like because they graduated from your school? Take your time on this one and think it through. If you had 60 seconds to tell a prospective student why they should choose your school, this is the proposition you should give them, because it is the unique quality that is most likely to “sell” your school. Next week, I’ll share with you the final must-have components of your plan. But you don’t have to wait until then to get your marketing plan up to speed. If you’re tired of the spotty results you’re getting from your education marketing, stop gambling! Get to work on your marketing plan today. And if you could use an experienced hand, we’ve been creating education marketing plans for schools like yours for over thirty years—and we’re proud of the results! So get ahold of us. We’d be happy to help!